In Morocco an astonishing number of 800 women die every day from complications during pregnancy. The problem, apparently, is the distance between rural villages and the access to good healthcare facilities, as well as the low number of doctors – just 60 per 100,000 in the population, compared with 400 in developed countries like Spain and Portugal. But it’s not simply a matter of geography and lack of physicians that compromise the care of women in this North African country – there’s also a dearth of equipment, including ultrasound, needed for adequate prenatal care. Earlier this year a novel project was initiated in Morocco by a consortium of vendors, doctors and nurses. 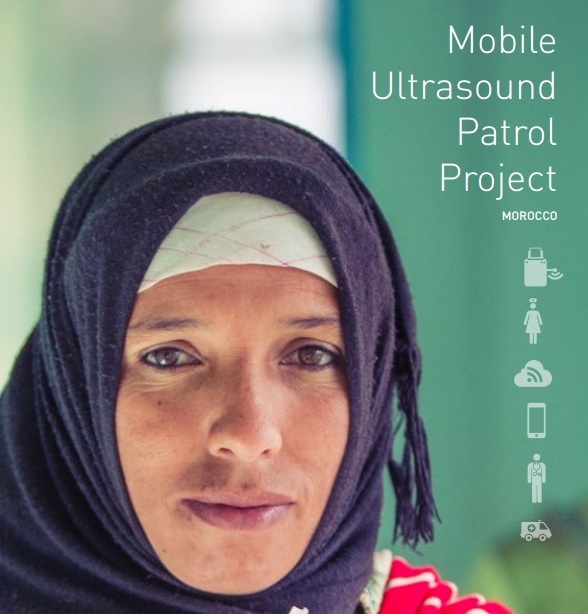 The Mobile Ultrasound Patrol came about through the combined efforts of three vendors: Trice Imaging, a software developer that provided the mobile encryption and image management software; Qualcomm, a telecommunications company committed to bringing wireless technologies to rural communities around the world; and SonoSite, a manufacturer of portable ultrasound systems. The scans were performed on 575 women in three rural villages and after acquisition of the images – 5 or 6 per patient – the data were sent via Wi-Fi to a smartphone and then encrypted for onward transmission via a 3G mobile network to Trice’s cloud-based imaging platform. Physicians in Rabat, Casablanca and Paris assisted with the diagnoses. One of the first patients seen during the four-week trial period was a young woman in pain who – unaware that she was pregnant – was given an ultrasound scan in her rural village. The portable ultrasound equipment revealed she was carrying two fetuses that were dead. Fortunately, the patient was then transferred to the nearest hospital where she received lifesaving treatment. 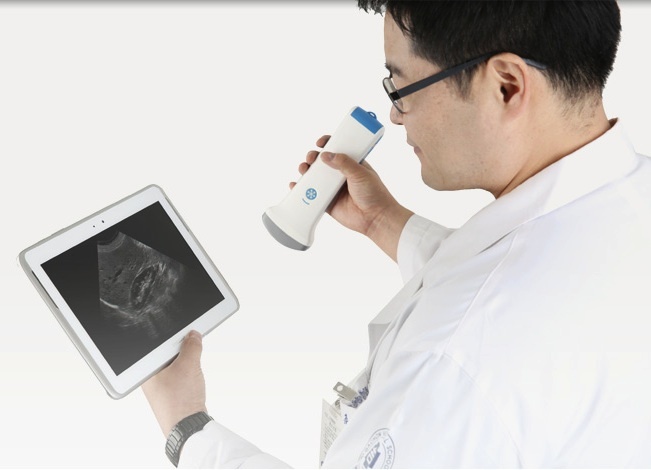 Following this success story, a South Korean start-up called Healcerion has just announced a portable ultrasound scanner that runs directly off an Android or iOS mobile device. Their Sonon scanner (seen at left) is completely wireless and reportedly features 128 channels, thus providing good image quality, with the first model focused on obstetrics. “We have actually developed this product for Third World countries, where they don’t have an ultrasound system available out in the field,” said John Freda, head of marketing for Healcerion. Cardiologists at the Icahn School of Medicine in New York City, recognising the considerable potential of portable ultrasound to diagnose heart conditions such as valve disease, have been training medical students in the use of this technology. In years to come, ubiquitous mobile ultrasound will surely save many lives.